BookBairn is fascinated by bugs and beasties and is delighted that Spring is returning and she will be able to go outside with her 'mag-a-no' (magnifying glass) and examine what she can find. So I thought it would be fun to read some books about little creepy crawlies that she might discover! 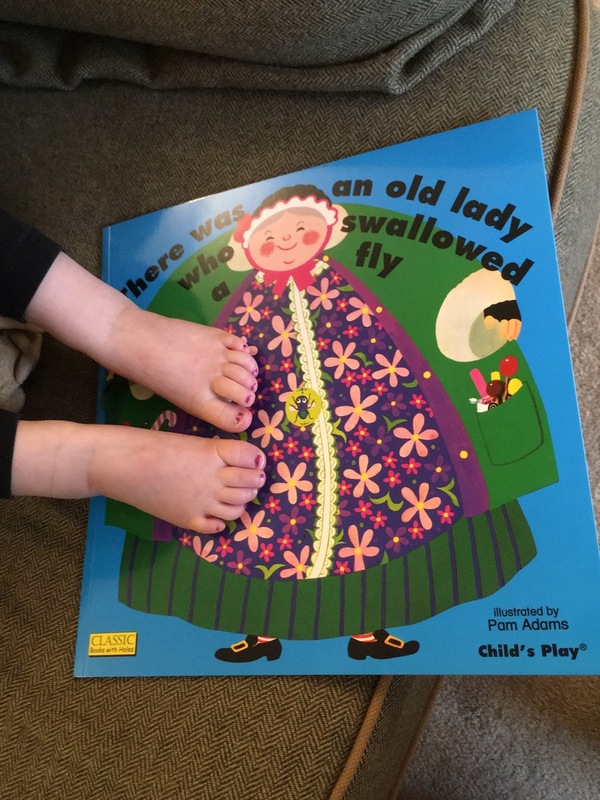 Ok, so there's only a couple of creepy crawlies in this one but BookBairn loves 'There Was a Wee Lassie Who Swallowed a Midgie' which is a Scottish take on this nursery rhyme but we had never read the original book. The traditional version is just as fun! There was an old lady who swallowed a fly, and then a spider, a bird and a cat and so on... Why she did such a crazy thing? No one knows. This is a fun story with bright and colourful illustrations and die-cut holes so you can see all the creatures in her tummy. And little ones will love singing the rhyme along with you. A word of caution though (and it was something I had forgotten) the old lady dies at the end. So if you don't want to discuss that or think your child isn't ready for it, this book is best avoided - try the Scottish one instead! 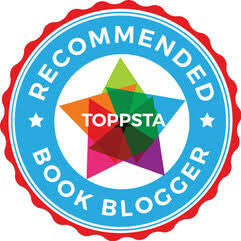 But BookBairn loves the bouncy song and really enjoys this book despite the macabre ending. This is slightly lengthier than traditional Julia Donaldson books because it is packed full of fabulous story! 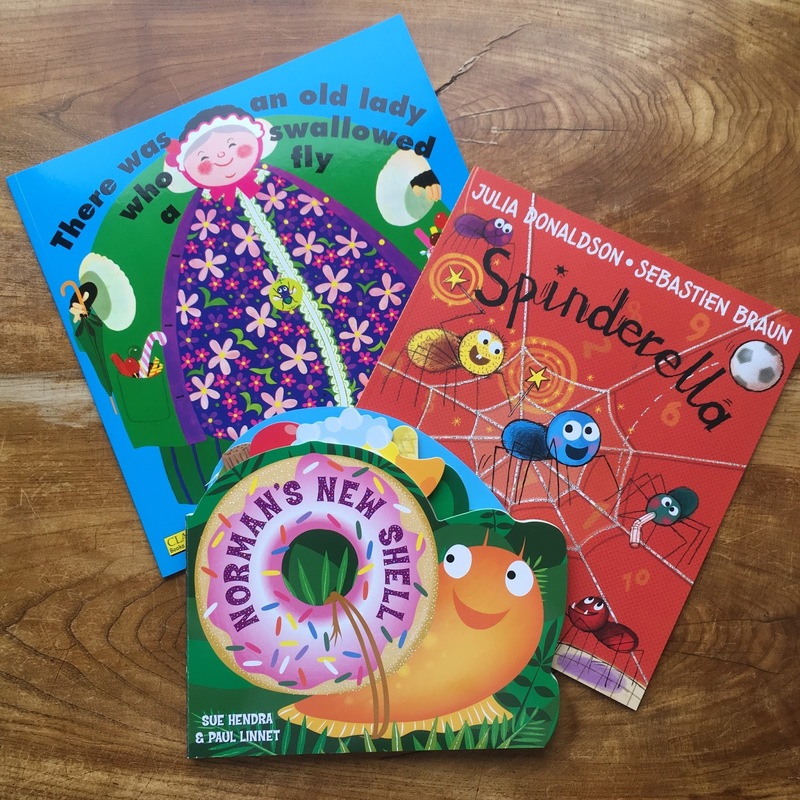 'Spinderella' is about a little spider - and her whole family of spiders - who live in a primary school. They watch the children and become fascinated by their games of football but, being spiders, they can't count so never know how many goals have been scored. And when they play their own game of football, using a pea as a ball, they can't keep score. "Down with numbers!" they shout! But Spinderella has the help of her Hairy Godmother who shows her into a classroom where the teacher is showing the children how to count. And when Spinderella returns to her family, after a little mishap involving a child shouting "Spider!!!" and Spinderella being shown the window, she divides the family into two equal teams and can keep score. And just to make the game more fun - Hairy Godmother magics up some football boots so their tiny spider feet don't get sore kicking the ball. Young readers will love this story, and ones that love counting as much as BookBairn will defintely have fun teaching Spinderella how to count. And big brothers and sisters reading along will have fun spotting the Cinderella connections! The illustrations are bright and colourful and the spiders are more adorable than heebie-jeebie inducing. So a perfect book for the whole family to read together! *Edit: In fact, we have a snail game where you balance pieces on the back of a slug body to create a shell so we used some blue-tak and tried out different shells just like Norman does! Scholastic want to make every day 'Book Day' and in celebration of World Book Day they are running a competition to get more books into kids hands. All you have to do is send a written or video review to Scholastic by tagging them (@ScholasticUK) and World Book Day (@WorldBookDay) on Twitter and use the hashtag #KeepReading with your review by 29th March and they'll select three winners to give £30 worth of books to and to donate £30 worth of books to a school or nursery of the winners’ choice. (Other terms and conditions apply so check out their website for details.) And good luck! Hope your little bookworms enjoy some mini-beastly reading! 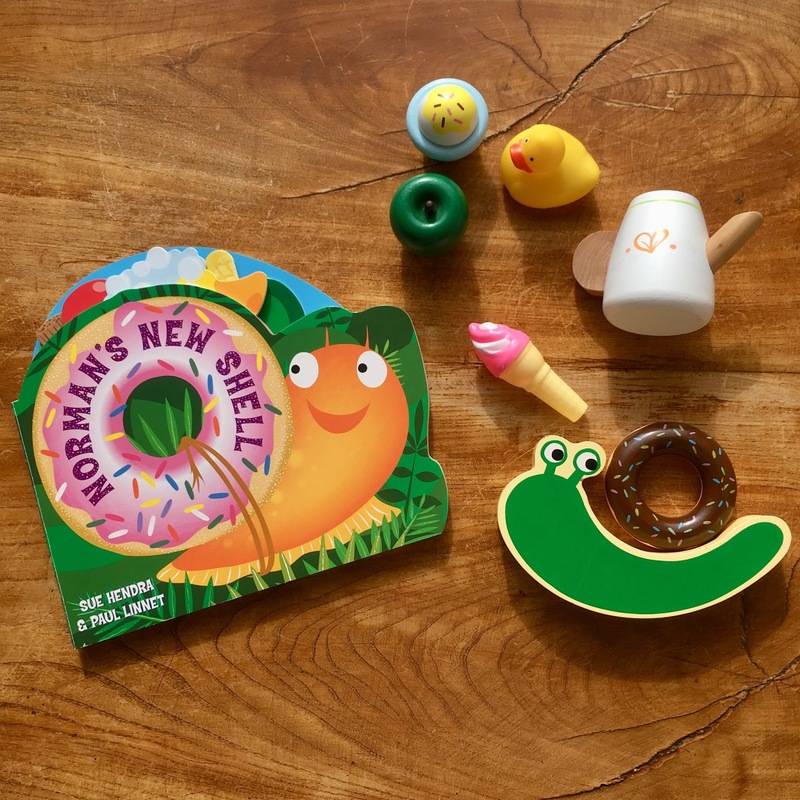 *DISCLAIMER: This is a collaborative post with Scholastic Books - we received a donation into BookBairn's nursery's Scholastic account and the books reviewed in this post. As always opinions are completely our own! I like the sound of these books. BookBairn is fascinated by creepie crawlies and likes to find them in their hiding places in the garden. I think she’d love pond dipping or rock pooling. Maybe during the Easter holidays? She would love that! She was very excited to go and see if the frogs were at the pond yet with you yesterday!